Gro CRM makes it simple for you to get paid faster. Create invoices and accept credit cards payments from your clients. Plus manage your payment history all from within the Gro CRM app. Note: The Gro CRM Stripe integration is avalalibel for Gro CRM Pro edition users. To get started with Gro CRM and Stripe, first you will need to connect your Stripe account to Gro CRM. 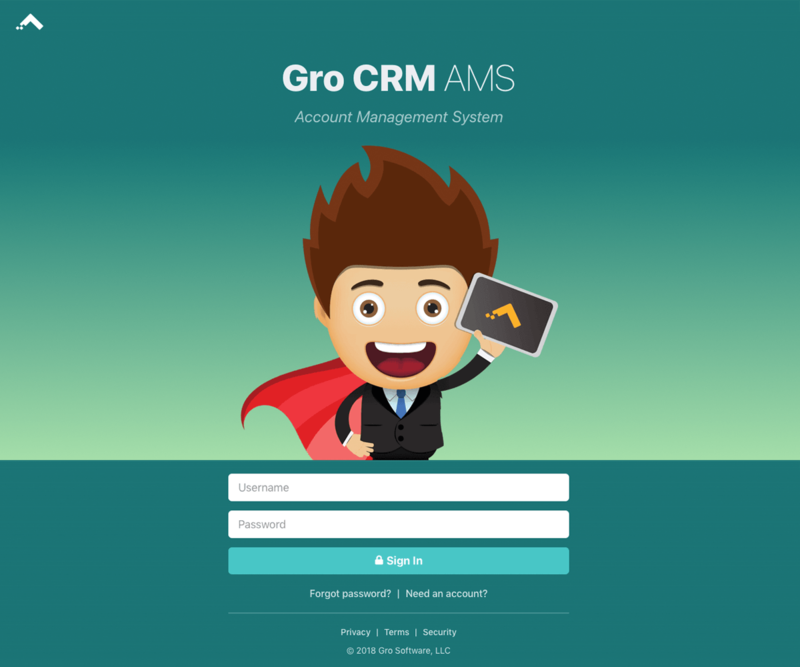 Log into the Gro CRM Account Management Syetem (unless you are already logged in). Navigate to the "Profile" menu and in the submenu choose "Stripe Integration". To connect your Stripe acocount click the "Connect with Stripe" button at the bottom of the page. 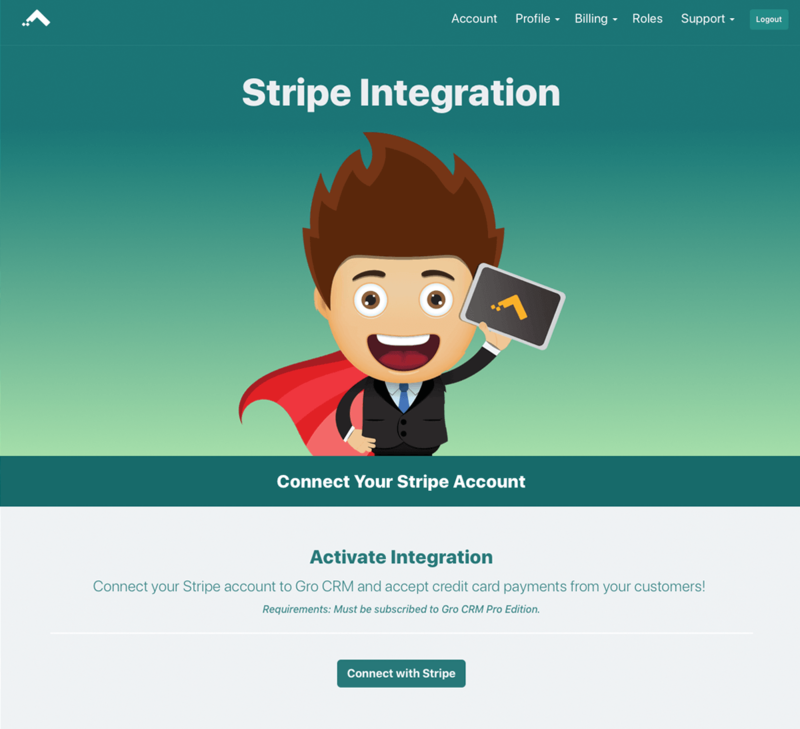 Just click the Connect my Stripe Account button and you will connect your stripe account to your Gro CRM account.